WASHINGTON (June 17, 2016) -The National Association of Black Journalists (NABJ) proudly announces the selection of LaCrai Mitchell as its 2016 Student Journalist of the Year. The award is presented to a college student who has excelled within the field of journalism. "LaCrai Mitchell is someone whose resume speaks for itself," NABJ President Sarah Glover said. "She has worked hard to gain internships and fellowships that have prepared her for the professional world. She serves as a great example of how a student journalist can succeed when they take advantage of opportunities." Mitchell earned her bachelor's degree from Florida A&M University in December 2015 and immediately began work as a news associate at CBS News, where she researched, compiled footage, fact-checked material and used social media to contribute to the success of the network's news program "48 Hours." She is currently a production associate for CBS News. While a student on FAMU's campus in Tallahassee, Fla., Mitchell worked as the online content producer for the FAMU TV-20's News at Five newscast. She managed and created content for the newscast's web page and managed the show's YouTube, Twitter and Instagram accounts. A Homecoming special she produced as a sophomore won a Student Emmy Award. 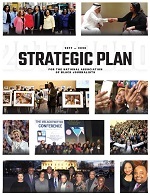 "LaCrai is a fabulous woman whose grace, kindness and humility are matched by her keen multimedia and multilingual skills, tenacity and vision," said Dr. Ann Wead Kimbrough, dean of FAMU's School of Journalism and Graphic Communication. "Congrats to LaCrai on her earned honor." Mitchell served as the editor-in-chief of the university's Journey Magazine, where she edited stories, repurposed stories for the website, created multimedia elements, video edited web stories, directed photo shoots and scouted models. She also participated in the 2012 NABJ Multimedia Short Course at North Carolina A&T University. While in college, Mitchell interned for CNN International in Atlanta. She also was chosen as one of five Knight Foundation HBCU Digital Media Fellows who participated in the Online News Association's annual convention in 2015. She received an Investigative Reporters & Editors (IRE) scholarship to attend the group's annual NICAR conference to further her passion for investigative and enterprise reporting. She also was named the winner of RTDNA's 2015 Michele Clark Fellowship, named for the the first African-American woman named as a network television correspondent. Mitchell was named to The Root's list of Young Futurists for 2016. She is also serving as the assistant director and associate producer for J Vision Pictures, where she is part of a team that will hire a cast for an independent film. She also serves as the company's social media director and communication facilitator. 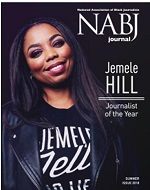 Mitchell will be honored this summer at the NABJ/NAHJ Convention and Career Fair in Washington, D.C.